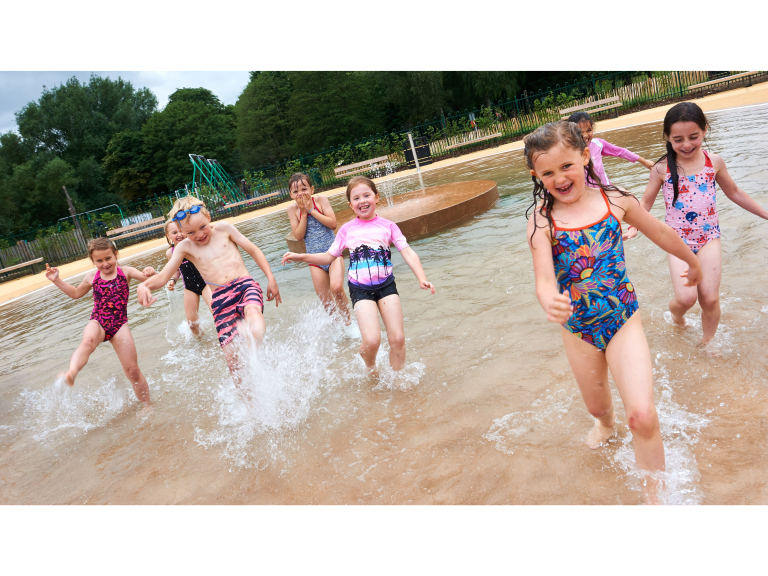 Heading to Cassiobury Park? Check out this handy map..
Watford Borough Council is urging people to ditch their cars and either cycle or take public transport to the park. 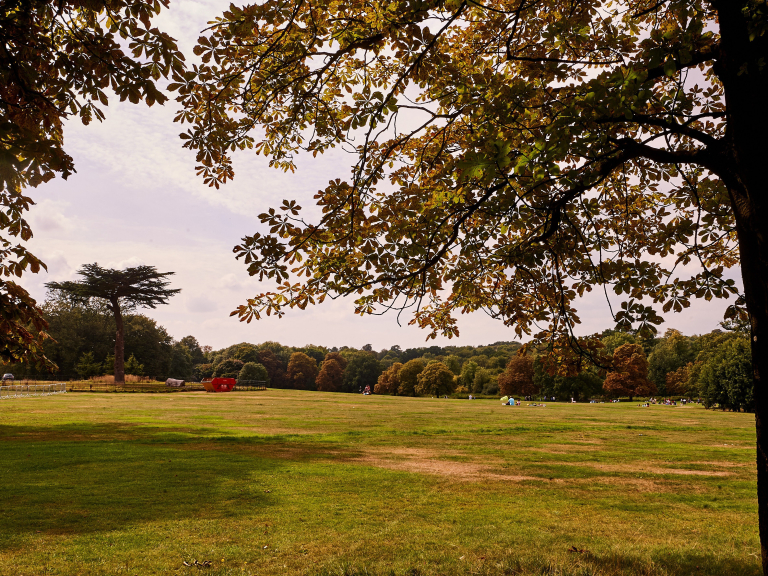 The best way to reach the historic beauty spot – voted one of Britain’s top 10 parks – is via Watford Underground Station, serving the Metropolitan line, which is just a two-minute walk from the park. 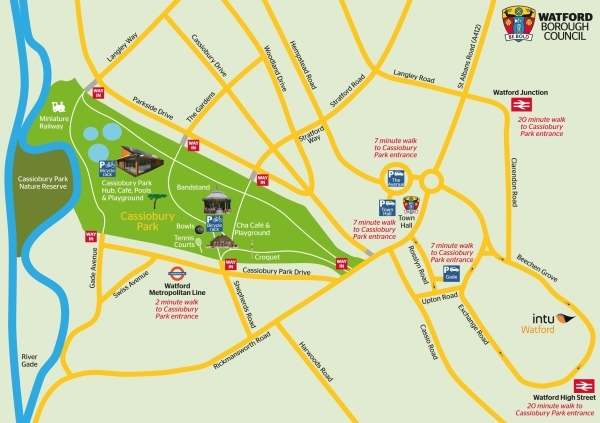 Watford Junction and Watford High Street railway stations are a 20-minute walk away. Cycling is also a great option and bicycle racks can be found at the Cassiobury Park Hub near the paddling pools entrance and by The Cha Café next to the water fountain. If you are driving, the best nearby car parks are: The Gade in Rosslyn Road (WD17 1PL) and The Avenue in Hempstead Road (WD17 4NR). There’s also the Town Hall car park in Peace Prospect (WD17 3EX) – available on weekends and Bank Holidays, but not during office hours. Watford Borough Council’s handy map shows the best places to park, routes from train stations and bike parking, which you can download by clicking here.